WEST BEND – The 42-year-old man who lived in a home where more than 400 animals were removed last week is now charged with five counts of "First Degree Sexual Assault" and one count of "False Imprisonment, Use Of A Dangerous Weapon" in Walworth County. 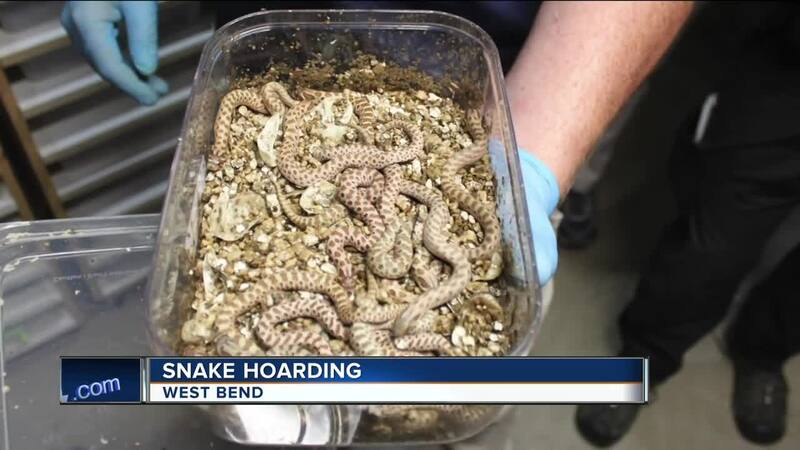 Jason A. Littel was taken into custody last week after police found more than 250 mice, 160 snakes, and several other animals inside his West Bend home. According to the West Bend Police Department, the animal discovery was made when West Bend and East Troy police were investigating a false imprisonment and sexual assault that occurred in both of their jurisdictions. While they were investigating at the West Bend home, police say their officers noticed a foul odor coming from the basement. The officers investigated and found numerous snakes, mice, and other small reptiles in the basement. Police say several of the animals were in poor health, and several dead snakes and mice were also removed. The sexual assault charges against Littel are from an incident on May 30 at a family-owned cabin in East Troy. According to the criminal complaint, Littel drove a 31-year-old woman there last month and assaulted her.